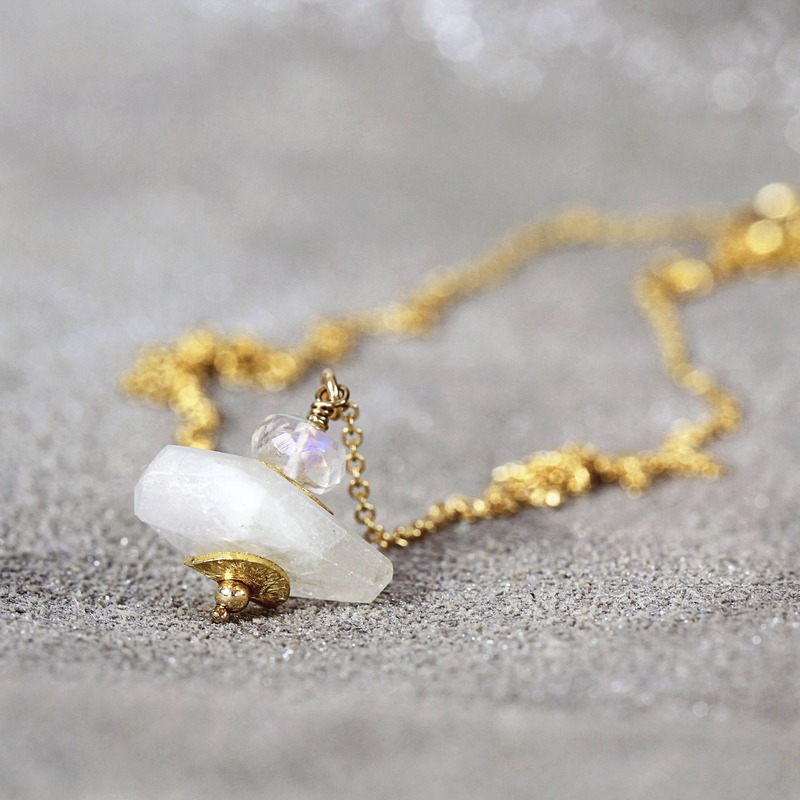 This opalescent moonstone necklace will bring a gentleness and a serenity, to your days and nights. It will also add a little sparkle and style should you need that too. 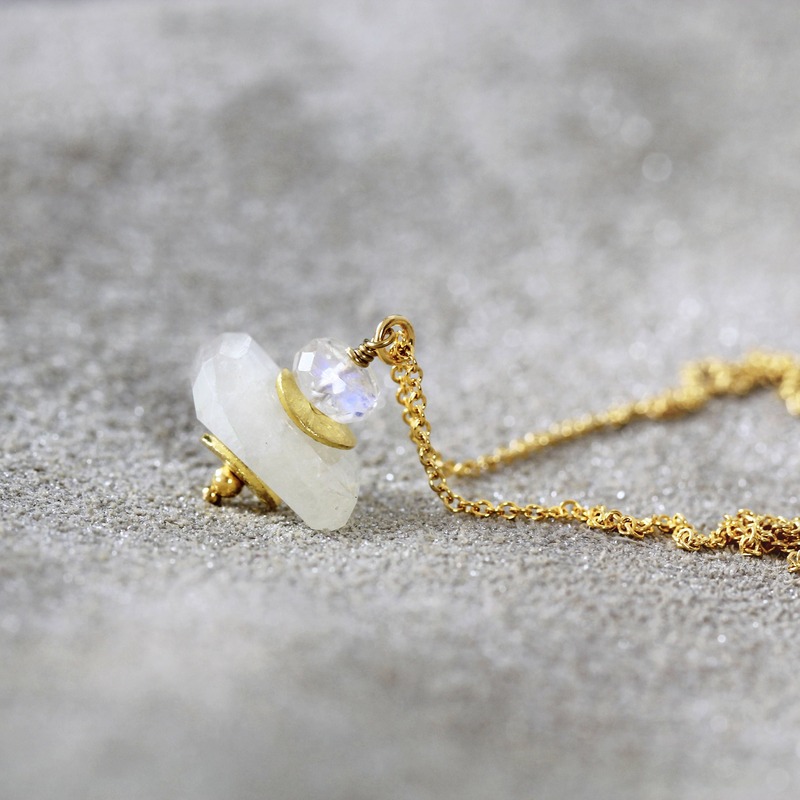 Featuring a rainbow moonstone gem sat atop a milky moonstone, with golden glints and accents in-between. Hung from a 14k gold filled chain in your choice of length. Gold fill is also known as 'rolled gold' - the next best quality after pure gold - it's not a plated finish and therefore doesn't rub off. 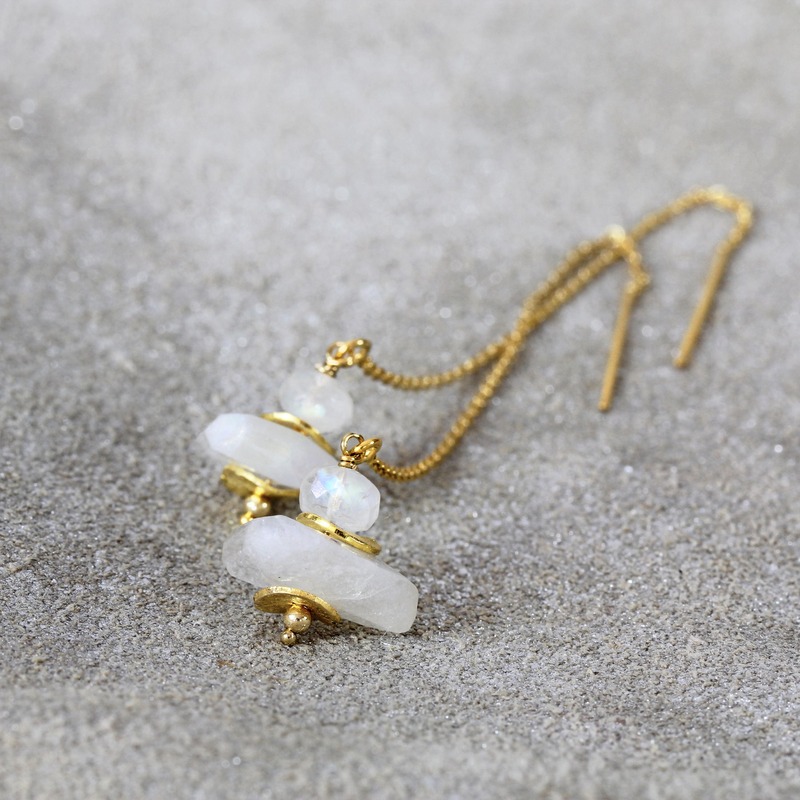 Moonstone is a very gentle, subtle stone, though it really does appear to have a touch of magic and other worldliness contained within the stones. Rather beautiful and mesmerising, it reminds me of angels wings and mermaids tails. Moonstones, along with pearls, are the birthstone for June. With it's exotic lunar name and it's milky rainbow sheen, it's no wonder the ancient Romans believed the stone was actually formed from moonlight! 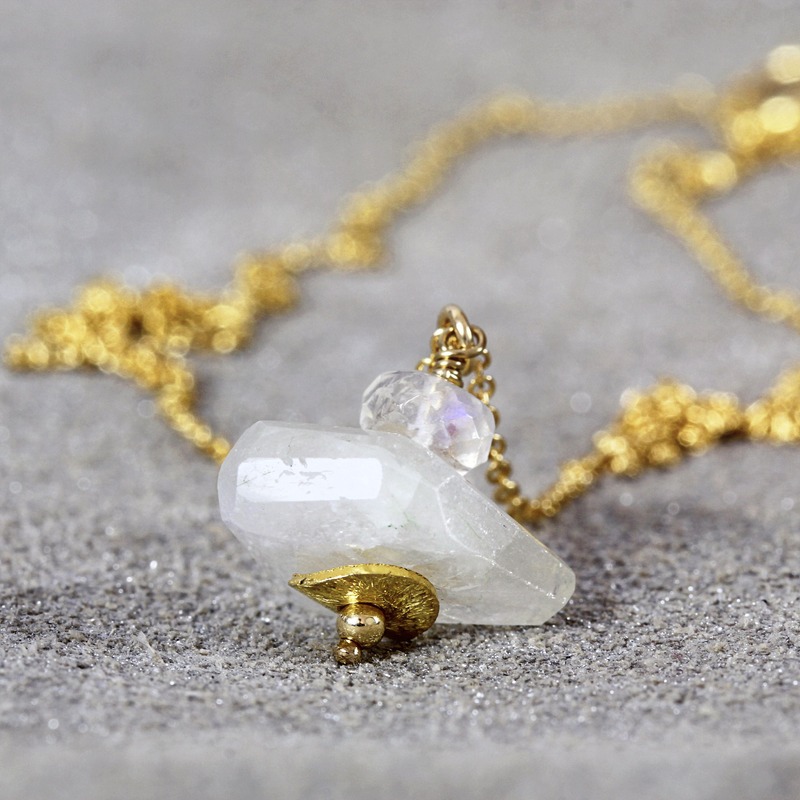 They believed that wearers of moonstone would receive wisdom, wealth and success. 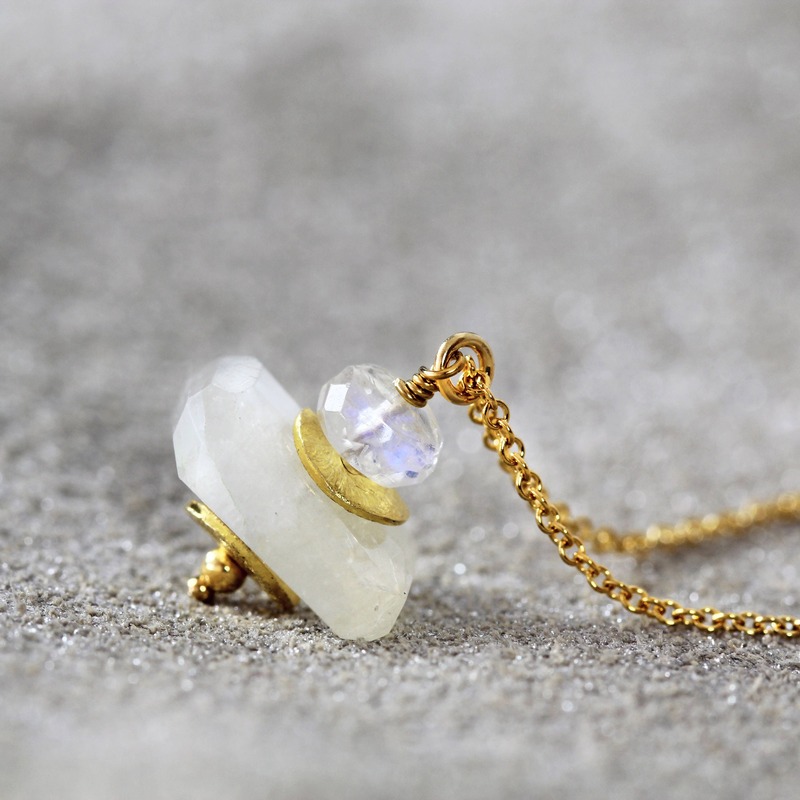 Moonstone is often called the visionary's stone as it is said to help us see things more clearly. A flash of inspiration, just like the flash from within the stone itself, can bring inspiration, upliftment and new beginnings. As a stone of wishes, hopes and dreams, it makes a beautiful gift whether for yourself or a loved one. * 16 inch | 40.5 cm. * 18 inch | 45.5 cm. * Moonstone nuggets vary, but approx 4-5mm high x 15mm wide. * Pendant drops approx 18mm from chain.